Lake Agias (pronounced: Ayias) is man-made lake that lies at approximately 10km west of Chania in Crete against a backdrop of the White Mountains and is an important stopping point for migrating birds. There is not such a thing as “the best time to visit” as the lake has a beauty which varies by the season. In the summer it feels like a refreshing oasis, in the Autumn is one of the most pleasant walks in the area of Chania, in the winter and Spring time the scenery is dramatic with the majestic snowcapped White Mountains (Lefka Ori) of Crete as a backdrop. There is a wheelchair friendly boardwalk that goes almost around the Lake for you to enjoy the scenery and be outside with nature. Lake Agias is a perfect picnic spot and a great idea for day out for families, young couples, birdwatchers and nature lovers. 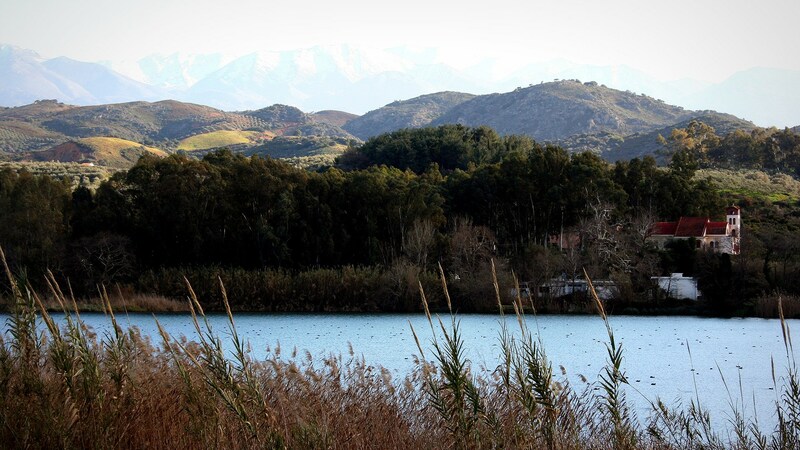 Lake Agias is an ideal destination for rejuvenation.